A practical quantum computer would leave your desktop in the dust. Alternatively, they might not do any of that. We’re really not sure what a quantum computer will even look like, but boy are we excited. It often feels like quantum computers are in their own quantum state — they’re revolutionizing the world, but are still a distant pipe dream. 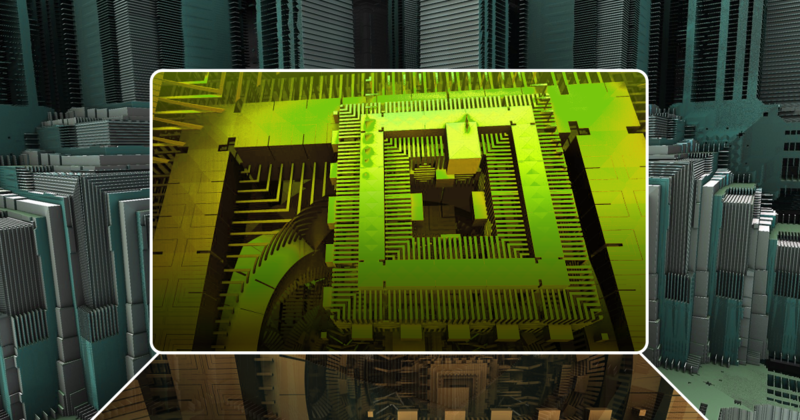 We’re really not sure what a quantum computer will even look like, but boy are we excited. Now, though, the National Science Foundation has plans to pluck quantum computers from the realm of the fantastic and drop them squarely in its research labs. And it’s willing to pay an awful lot to do so. 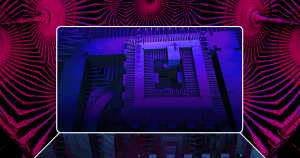 In August, the federal agency announced the Software-Tailored Architecture for Quantum co-design (STAQ) project. Physicists, engineers, computer scientists, and other researchers from Duke and six other universities (including MIT and University of California-Berkeley) will band together to embark on the five-year, $15 million mission. The goal is to create the world’s first practical quantum computer — one that goes beyond a proof-of-concept and actually outperforms the best classical computers out there — from the ground up. A little background: there are a few key differences between a classical computer and a quantum computer. Where a classic computer uses bits that are either in a 0 or 1 state, quantum bits, or qubits, can also be both 1 and 0 at the same time. The quantum circuits that use these qubits to transfer information or carry out a calculation are called quantum logic gates; just as a classic circuit controls the flow of electricity within a computer’s circuitry, these gates steer the individual qubits via photons or trapped ions. In order to develop quantum computers that are actually useful, scientists need to figure out how to improve both hardware we use to build the physical devices, and the software we run on them. That means figuring out how to build systems with more qubits that are less error-prone, and determining how to sort out the correct responses to our queries when we get lots of noise back with them. It’s likely that part of the answer is building automated tools that can optimize how certain algorithms are mapped onto the specific hardware, ultimately tackling both problems at once. To better understand what this program might produce, Futurism caught up with Kenneth Brown, the Duke University engineer in charge of STAQ. Here’s our conversation, which has been lightly edited and condensed for clarity. We’ve supplemented Brown’s answers with hyperlinks. Futurism: A lot of what we hear about quantum computing is very abstract and theoretical — there’s lots of research that might lead towards quantum computers, but doesn’t show any clear path on how to get there. What will your team be able to do that others haven’t been able to do in the past? Kenneth Brown: I think it’s important to remember that quantum computers can be made out of a wide variety of things. I usually make an analogy to classical computers. The first classical computers were just gears, pretty much because that was the best technology we had. And then there was this vacuum tube phase of classical computers that was quite useful and good. And then the first silicon transistor first appeared. And it’s important to remember that when the silicon transistor first appeared, it couldn’t quite compete with vacuum tubes. Sometimes I think people forget it was such an amazing discovery. Quantum computing is the same thing. There are lots of ways to represent quantum information. Right now, the two technologies that have demonstrated the most useful applications are superconducting qubits and trapped ion qubits. They’re different and they have pluses and minuses, but in our group, we’ve been collectively focused on these trapped ion qubits. With trapped ion qubits, what’s nice is that on a small scale of tens of ions, all the qubits are directly connected. That’s very different from a superconducting system of a solid-state system, in which you have to talk to the qubits that are nearby. So I think we have very concrete plans to get to 30, 32 qubits. That’s clear. We would like to extend that to something closer to 64 or so, and that is going to require some new research. F: What makes this a “practical” computer compared to all of the other people working on quantum computers? KB: I do think there are industrial efforts pushing towards building exactly these practical devices. The thing which really distinguishes us is being on the academic side. I think it allows for more exploration, with the goal of making a device which enables people to test wildly different ideas on how the architecture should be and what applications should be on it, these sort of things. So our goal is to make a device reaching this practical scale where researchers can play with all the knobs. F: How would quantum computing change things for the average person? KB: I think in the long term, quantum computing and communication will change how we deal with encoded information on the internet. In Google Chrome, in fact, you can already change your cryptography to a possible post-quantum cryptography setup. The second thing is I think people don’t think about all the ways that molecular design impacts materials — from boring things like water bottles to fancy things like specific new medicines. So what’s interesting is if the quantum computer fulfills its promise to efficiently and accurately calculate those molecular properties, that could really change the materials and medicines we see in the future. But on what you’re going to do on your home computer, the way I think about it is most people use their computer to watch Netflix and occasionally write a letter or email or whatever. Those are not places where quantum computers really help you. So it’s sort of funny — I don’t know what the user base would be. But when computers were first built, people had the same impression. They said that computers would just be for scientists doing lab work. And, clearly, that’s no longer the case. F: What sort of person will be able to use a quantum computer? How do you train someone to use it, and what might the quantum computing degree of the future look like? KB: When I try to explain quantum computing to someone, if they know the physics or chemistry of quantum mechanics, then I can usually start there to explain how to do the computing side. And the other side is also true: if people understand computing pretty well, I can explain the extra modules that quantum computing gives you. In the future, we probably need people trained from both of those disciplines. We need people who have a physical sciences background who we get up to speed on the computer science side and the opposite. The specific thing we’re going to try to do is have this quantum summer school, with the idea to bring in people from industry who are maybe excellent microwave engineers or software engineers, and try to give them enough tools so they can start to think about the extra rules you have to think about with quantum. F: What sorts of new research will you need to sort out before this thing can be built? What will that take? KB: We have some ideas. In a classic computer you work with voltage, but in quantum computing, I need to somehow carry information from one place to another. Do messenger qubits that carry information to other parts of the computer have to be the same type of qubit that the rest of the computer is made of? We’re not sure yet. A common way to think about scaling up the complexity of quantum computers is called the CCD architecture. The idea is to shuttle manageable chains of ions from point to point. That’s one possibility. There’s been some theoretical work looking at whether you can have photons interconnect between ion chains. The idea across all kinds of supercomputers is to use photons as these messenger qubits. And by doing that, you can basically have a bunch of small quantum computers wired up by all these photons that collectively act like a larger computer. But that’s farther out. I think getting that to work at the bandwidth we need in the next five years would be pretty challenging. If it happens, that would be great, but it’s probably farther out. F: Along the way, how will you know that you’re making tangible progress? Do you have benchmarks for knowing that you’re, say, halfway there? How can you test to know for sure that it’s working? At the same time, we’re going to take algorithms and applications that we know, and we’re going to map them onto the hardware. We’re going to try to optimize the algorithm as we map it in a way that makes the overall application less vulnerable to noise. Before we run these applications, we have a rule of thumb about how often they should fail in tests and general use. But after this software optimization that my team is working on, ideally it will fail much less often. That helps us explore more in the algorithm space because it gives you confidence that you can push quantum computers towards more complicated systems. I think it’s important to note that we have the space to be very exploratory, to look at problems people aren’t thinking about. F: What’s the worst misconception about quantum computers that you run into? What do people always seem to get wrong about them? KB: The one misconception is that it’s magic. Quantum computers aren’t magic; they don’t allow you to solve all problems. Here’s the thing — in classical computing, we have the sense that there are some problems that are easy and some problems which are really hard, which means we can’t solve them in polynomial time [a computer science term used to denote whether a computer is able to complete a task quickly]. It turns out we spend a lot of our computing power trying to solve the problems that we can’t solve in polynomial time, and we just have approximations. Quantum computers do allow you to solve some of the problems which are intractable on a classic computer, but they don’t solve them all. Usually, the thing which drives me crazy is when a quantum computer article says they can solve all problems instantly because they do infinite parallel calculations at once. When we have large-scale quantum computers, we can test algorithms like that more accurately. We’ll know we can solve the classical problem, just occasionally the new computer gets bogged down. I’m a big optimist. I guess that’s how you end up working this kind of field.